PRICE REDUCED $20,000!! Don’t miss this home with an incredible location in the heart of Seagrove Beach directly located on the south side of scenic Highway 30A. Shopping and dining at your doorstep. Beautiful 3 story townhouse with elevator. Second den and media room on the first level with space for a full/queen bed or bunk beds, as well as an additional bedroom and full bath. Wonderful open floor plan — living room on the 2nd floor with a large family room featuring gulf views. Dining room and large open kitchen with breakfast bar also on the 2nd floor. 3rd floor features a large master bedroom with breathtaking views of the gulf, walk in closets, and a master bath with double vanity, separate tiled shower and whirlpool tub with lots of natural light. Laundry room is located off of the master bath with a total of 3 full baths (one on each floor), covered balconies on the 2nd and 3rd floors with gulf views. Ricky Lee Jones, realtor on the Emerald Coast of Florida, would like to share with you his weekly favorite vacation home property. 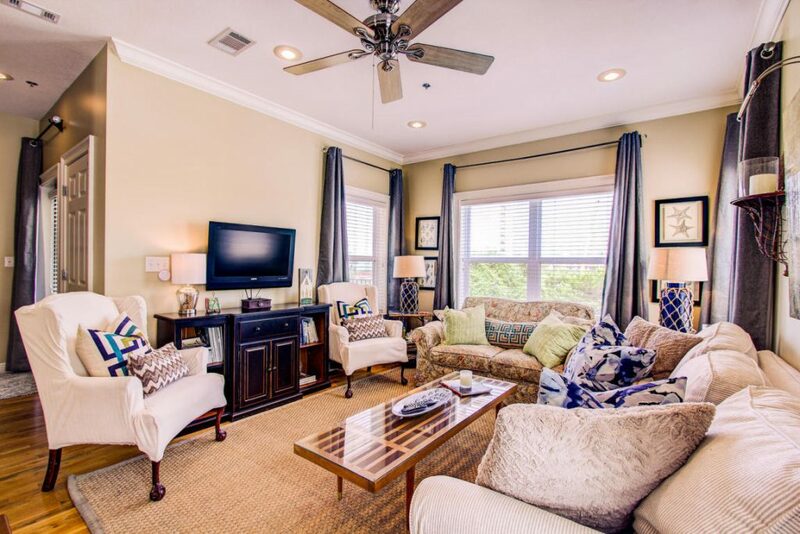 This might be a coastal cottage home in a community like Watercolor or Seaside, a beach house in Grayton Beach, or a high-rise beachfront condo in Destin or Panama City Beach. These personal picks will be selected due to outstanding value, unique location, inspired decorating, or most likely all of the above. Check out Ricky Lee’s pick for this week. If you have a “favorite” of your own that is for sale, don’t hesitate to send it along to Ricky Lee and see if he will add it to next week’s selection!